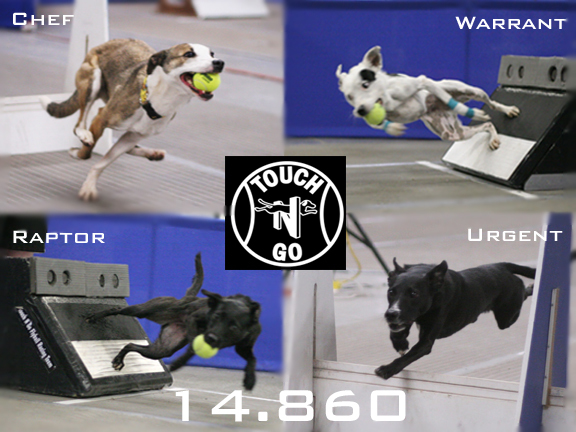 The Ultimate Dogsport for Family and Fun: United Flyball League International :: U-FLI Records - 14.860 - WOW! 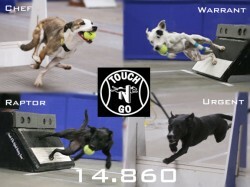 "The achievement of breaking our own record by .004 seconds may seem like a small accomplishment in numbers but at this speed every little bit counts.� As a team, TNG is so proud of these dogs and how much they give us in every single heat they run, as well as their endless determination and work ethic." Last Updated Thursday, April 18, 2019 - 04:06 AM.